Hakuun Yasutani Roshi was the founder, and the First Abbot, of Sanbo-Zen, which is a Zen-Buddhist Religious Foundation (shûkyô-hôjin). “YASUTANI Roshi, who was born on 5 January 1885 in Shimizu City, Shizuoka Prefecture, Japan, formally became a Soto Buddhist monk when he was 13 years old. 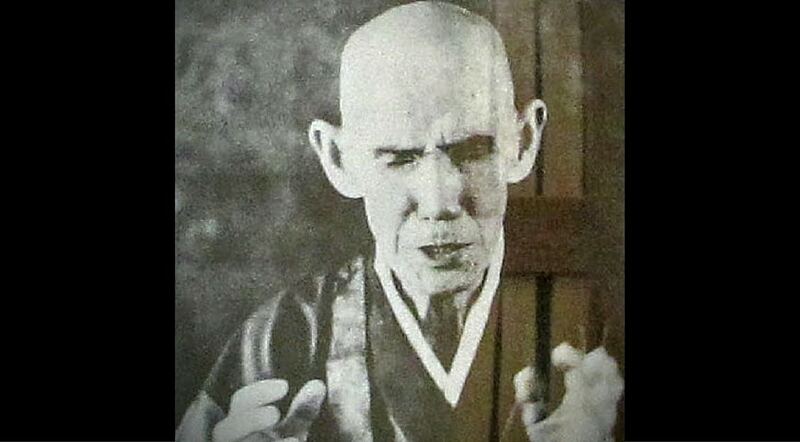 In 1925 he met HARADA Sogaku Roshi (1871-1961), and eventually became one of his Dharma successors. YASUTANI Roshi deplored how the Soto monks of the time were preoccupied with superficially carrying out Buddhist ceremonies and neglected the vital practice of realizing one’s true self. So he left the Soto school and founded an independent religious foundation, the Sanbô-Zen, in order to re-vitalize authentic Zen among those earnest seekers of the Way, who, at that time, happened to be mostly lay people. “Sanbô,” literally “three treasures,” signifies the three most basic principles of Buddhism: Buddha, Dharma, and Sangha. “Kyôdan,” on the other hand, means “religious organization.” In this name, therefore, one can perceive YASUTANI Roshi’s aspiration as well as his determination to create a religious community that purely devotes itself to maintaining the true Buddhist Way. The genesis of the foundation reveals already that the basic character of the organization is that of the Soto line. But, following the tradition stemming from HARADA Sogaku Roshi, the Sanbô-Zen integrated the Rinzai method of koan study as well in its Zen training in order to bring its students effectively to the realization of their true self. YASUTANI Roshi thus instructed a countless number of practitioners both in Japan and, from 1962 on, in Europe and the United States. In 1970 he resigned from the abbotship and had YAMADA Kôun Roshi take the leadership of the organization. YASUTANI Roshi passed away on 28 March 1973.” ~ excerpt from Sanbo Zen official website. Post & Featured Images: Hakuun Yasutani Roshi, photo of photo at Mountain Cloud Zen Center, by Cherie Manifest.